Attention Tech Junkies! It’s Time for the Digital Walker Madness Sale 2018! Digital Walker never fails to amaze us with its sold-out Christmas Come Early Sale Events over the past years, but the company is determined to blow our minds with a bigger and definitely better Digital Walker Madness Sale 2018! 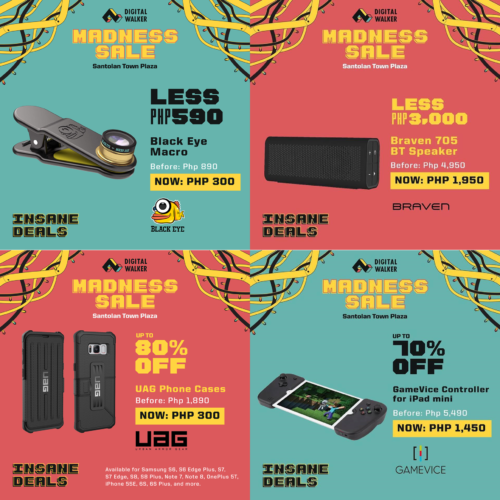 Head to the fresh Santolan Town Plaza, in San Juan, and shop to your heart’s content with up to 90% of discounts on premium tech brands including Motorola, Marshal, Fuse Chicken, and Scosche. Grab the perfect gifts for your family, (or for yourself!) among the smorgasbord of powerbanks, bluetooth speakers and headsets, mobile phone cases, car mounts, dash cams and tons of other cool items. Go crazy these steals when at the Digital Walker Madness Sale 2018! But that’s not all, because Digital Walker has another bombshell for us! 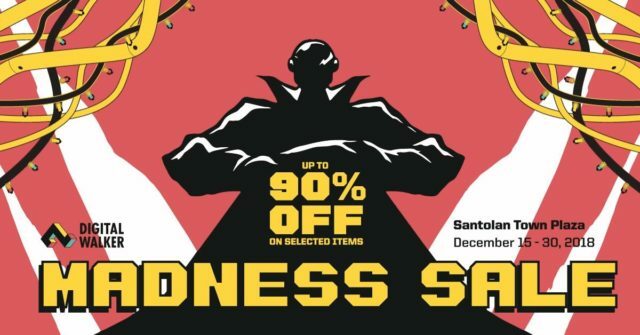 Follow Digital Walker’s social media pages (@digitalwalkerPH) and be on the lookout for the #DWMadnessSale2018 surprise limited time deals. The sale will last until December 30, 2018 or until supplies last. Sale hours are from 11 AM – 10 PM. In case you’re wondering, the Santolan Town Plaza is located at 276 Boni Serrano Avenue, San Juan City, Metro Manila. We’ll see you there!